It’s like a puzzle trying to figure out who made what and when. I'm sure that as I gather more information this page will change. Consider this a work in progress. 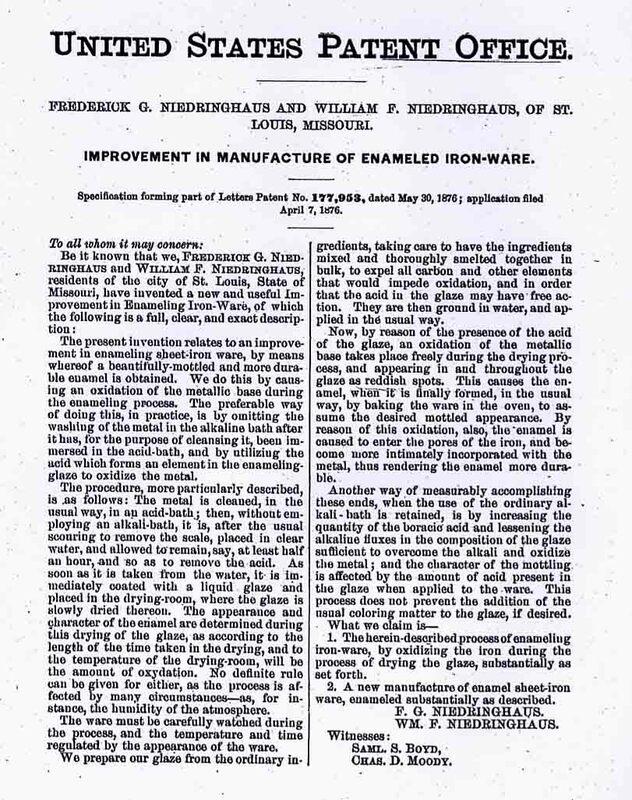 This 1876 patent was granted to Fredrick and William Niedringhaus, founders of The St. Louis Stamping Company in St Louis MO. 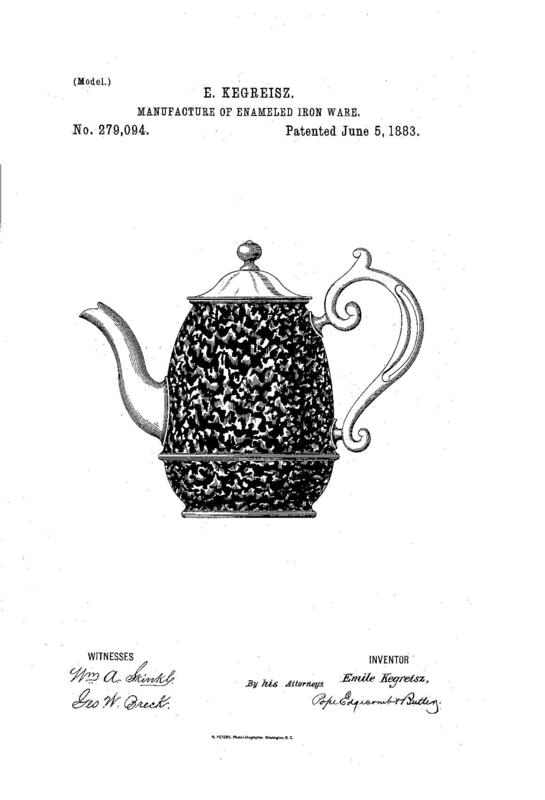 This patent was used for the gray mottled enamelware sold by Manning Bowman and others. The St. Louis Stamping Company used a very distinctive mark. A very interesting relationship was formed between The Manning Bowman Company and The St. Louis Stamping Company. In a recent conversation with the Curator of the Meriden Historical Society, Alan Weathers, I read to him this 1884 postcard . 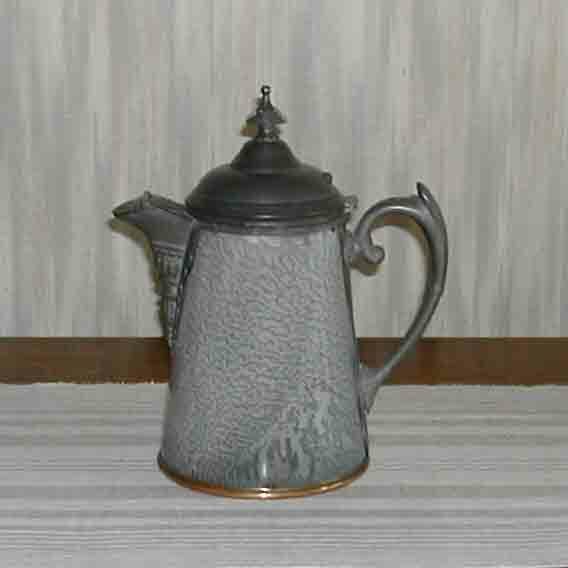 Mr. Weathers believes Manning Bowman stamped the handles, tops and the spouts of the pieces, while the St. Louis Stamping Company made the graniteware bodies. 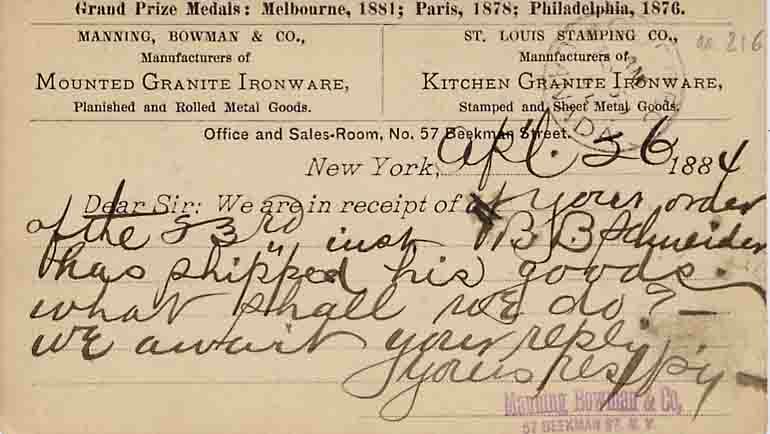 If you read this postcard it states that Manning Bowman made Mounted Graniteware, Planished and Rolled Metal Goods while The St. Louis Stamping Company manufactured Kitchen Granite Ironware, Stamped and Sheet Metal Goods. It's amazing how one small postcard can shed light on the relationship formed between these companies. My Manning Bowman catalog dated 1885 shows a piece made by Manning Bowman that is exactly the same as the piece stamped by the St. Louis Stamping Company. The page shown on the right is from my 1885 Manning Bowman catalog. 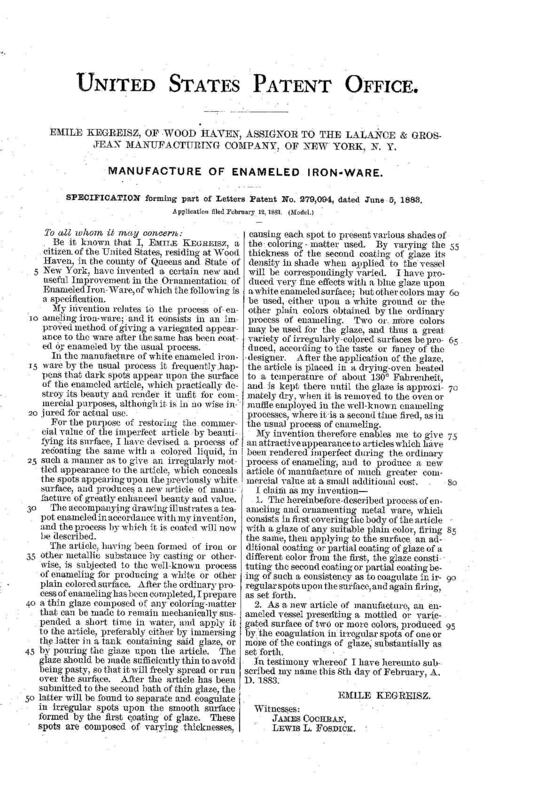 In 1883 this patent was issued to the Lalance & Grosjean Manufacturing Company of New York NY. 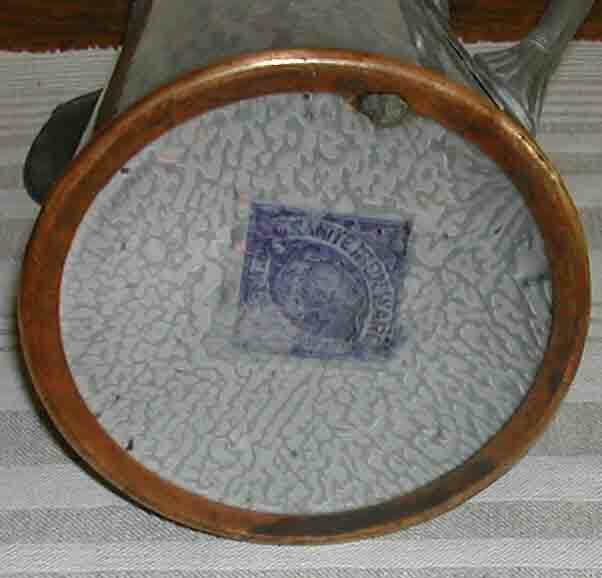 It was the patent used for the Decorated Pearl Agateware sold by Manning Bowman and other companies. 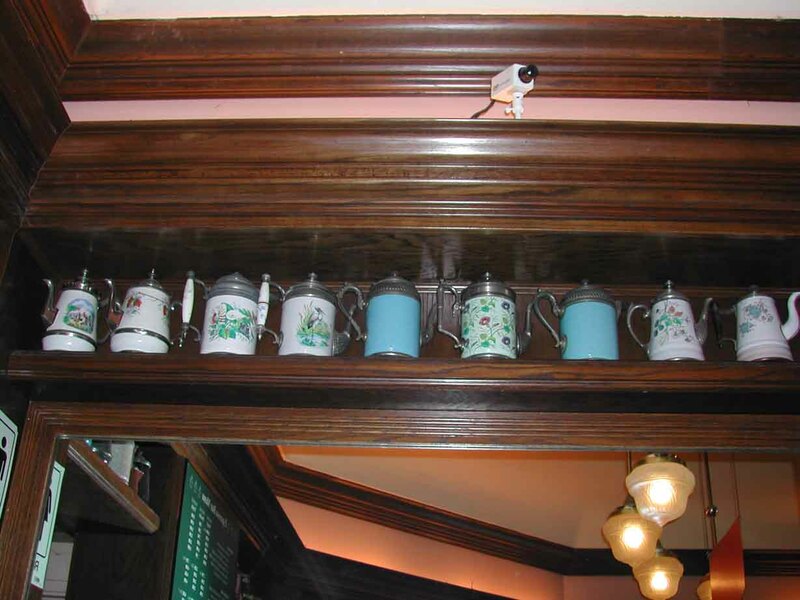 I believe that Manning Bowman manufactured the handles, tops and spouts shown shown in this picture. 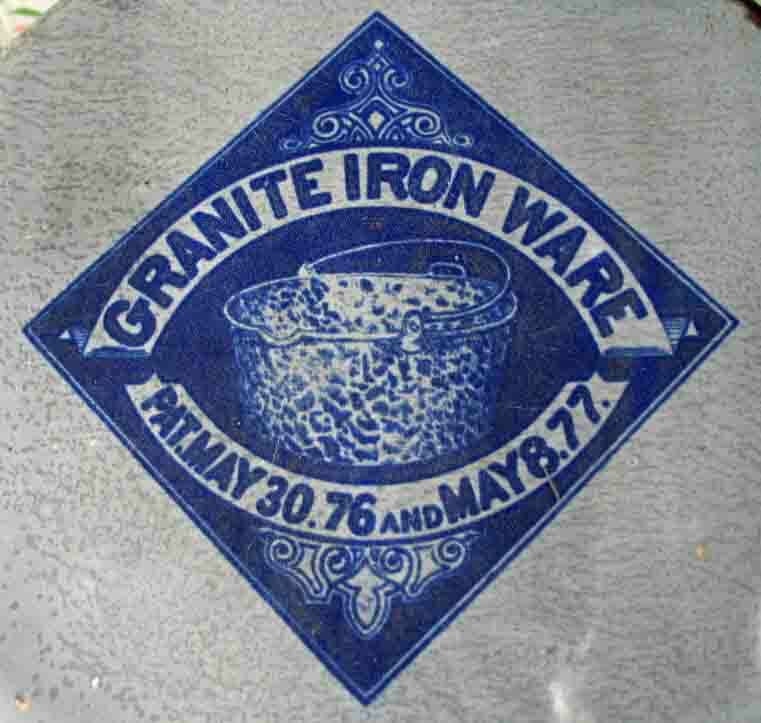 Manning Bowman along with other sales representatives sold the completed graniteware items.